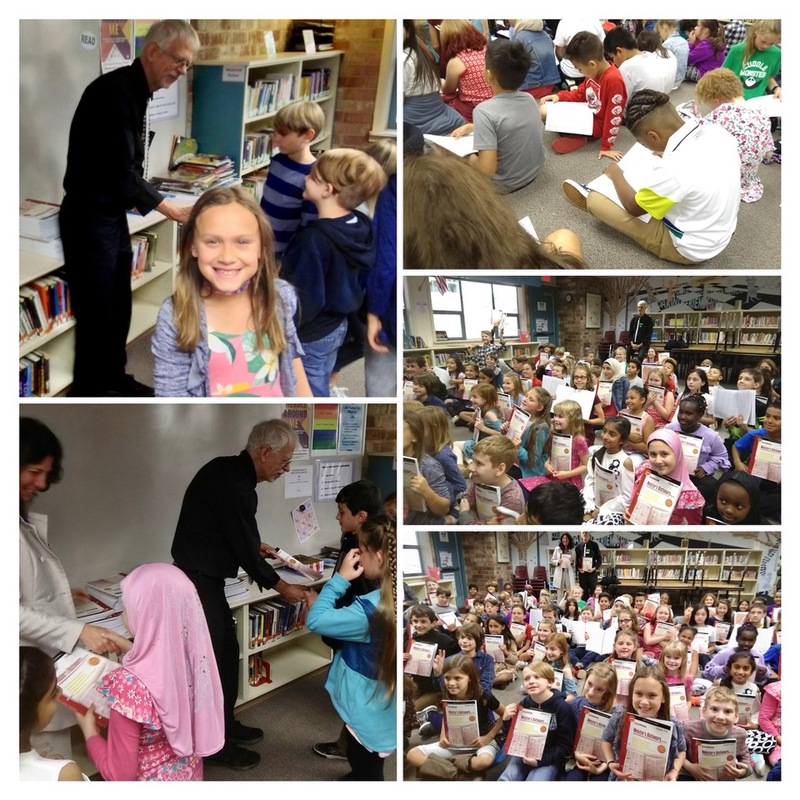 On Wednesday, October 3, 2018, Douglas Carl, owner of "A Better Day Salon" at the Lake Forest Park Town Center visited the school library to deliver new dictionaries to every fourth grader at Lake Forest Park Elementary School. Thank you, Mr. Carl! Our teachers and students look forward to using the dictionaries in the classroom and at home.